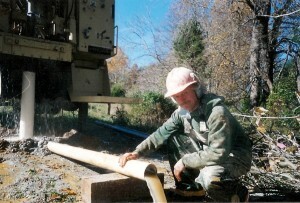 Nick H. Evans is Director of CSG Geotechnical Services for the Center . Dr. Evans is a past Director and Chairman of the Thomas Jefferson Soil and Water Conservation District, a political subdivision of State government that works with local government and land holders in advancing water quality protection. 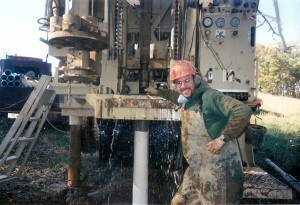 Dr. Evans has broad knowledge of geology, geophysics and hydrology gained over 2 decades work as a research geologist for the Virginia Department of Mines, Minerals and Energy, and 10 years at Virginia Groundwater LLC. In addition to working throughout the mid-Atlantic region of the US, he has taught a geologic field school in Colorado, and consulted on projects in New England, Canada, Mexico, Nigeria and Afghanistan. Clients have included individual landowners, communities, developers, the mining industry, agriculture and government. Dr. Evans has provided Expert Testimony in litigation regarding sustainable management of groundwater, environmentally safe development of economic mineral resources, and interpretation of complex geologic structures affecting mineral resource valuation. Dr. Evans has a B.A. in Environmental Sciences from the University of Virginia and a PhD in Geology from Virginia Tech. He is a licensed air-rotary drilling contractor. Michael C. Collins is Program Manager and a Co-Director of the Center. He is also Executive Director of Conserv, a web- based property, environmental assets, and ecosystem services marketplace based in Charlottesville, Virginia and is also a Principal with Virginia Groundwater, LLC. He also has served the public sector as a planner, recently serving the Town of Orange, Virginia as the Director of Community Development, where he began the planning department and worked with the community to create the 2006 Town of Orange Comprehensive Plan (VAPA Award), the Town’s first capital improvements plan, proffer policy, joint planning area program, stormwater management program, and completed the framework ordinance for the overhaul of the Town’s Zoning Ordinance including a form-based code for the Downtown. He has also briefly served the City of Richmond, where he worked as a Division Manager in the Department of Community Development on Preservation and Urban and Environmental Design projects. In addition, he has served a public school system as a tenured science teacher, owned an environmentally-friendly home center, worked for a small firm as a water resources consultant, and occasionally as a carpenter. He has a B.S. in Biochemistry from Virginia Tech and an MP in Land Use and Environmental Planning from the University of Virginia.